Caroline leverages over 25 years of strategic thinking and communication expertise to develop innovative and creative solutions. She’s led teams to develop world-class strategies and tools for her clients, including BlackRock, Ortho Clinical Diagnostics and Xylem Water Technologies. She began her professional life as a journalist in the Boston metro area, then transitioned to corporate communication with IBM. Over the years, she has managed communication functions at complex, global companies in a diverse mix of industries, including Degussa Evonik (specialty chemicals), Benjamin Moore (paint and coatings) and Reckitt Benckiser (consumer goods). 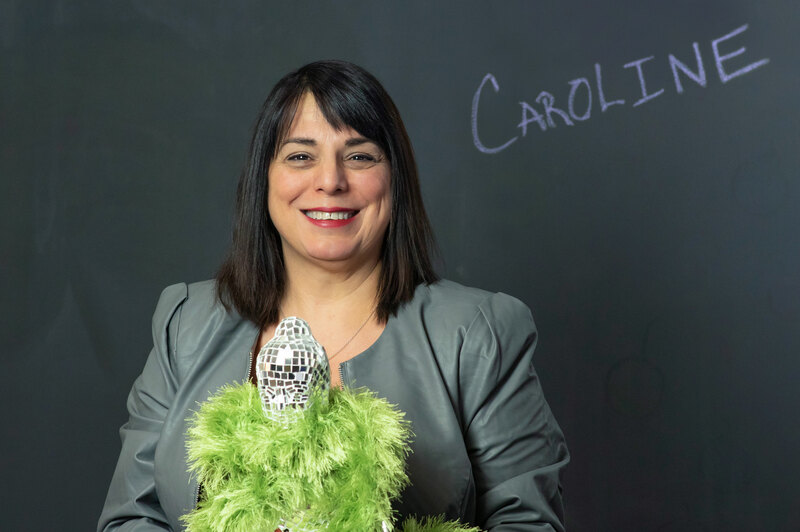 Caroline holds a bachelor’s degree in journalism from Northeastern University, is certified in crisis communication and has participated in the strategic communication program at Ithaca College. The most personally satisfying project I’ve ever worked on was partnering with Save the Children to develop a U.S.-based child sponsorship program for one of my former companies. It was an extension of that company’s international sponsorship, but focusing on children in rural American communities really engaged and energized the U.S.-based employees. When I work, I’m always thinking about the proverbial “AP clerk,” sort of an everyman employee. These are the folks who are often overlooked, but are really the lifeblood of the organization. They might not be considered movers and shakers, but they hold the company together with their knowledge, experience and efforts. Sonos. Their speakers rock and the fact that I can tie into Spotify and control everything from my mobile device fills me with joy. I would be a chef, but I’m not sure if I’d be a regular one or a pastry chef. Cooking and baking are both incredibly creative and nurturing so it’s hard to choose. When I really need to focus, I turn on one of my Zen playlists. It tunes out the workplace hubbub and makes my office sound like a spa. Calcutta, India. I went with Save the Children to open vocational centers dedicated to helping former child domestic slaves. I live on a lake and almost any time of year you can find me enjoying lake life. In the summer there’s swimming and paddle boarding; in the winter there’s ice skating and snow shoeing; and any time in between there’s hiking, biking or just taking a nice long walk. Serendipity: the occurrence and development of events by chance in a happy or beneficial way. It’s such a beautiful, positive concept. We could all use more serendipity in our lives. Buenos Aires, Argentina. The culture, the food, the wine, the dancing—let’s go now! What do employees value most about workplace giving?